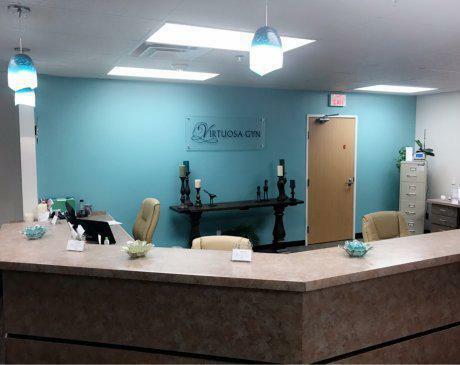 At Virtuosa GYN in San Antonio, Texas you can enjoy dedicated and personalized service for all of your gynecologic needs. A specialist in comprehensive, minimally invasive treatments, Susan Crockett, OB/GYN and her team provide expert medical attention and compassionate care. Virtuosa GYN offers treatment options for a range of simple to complex gynecologic conditions. Dr. Crockett is a master level da Vinci® robotics system surgeon. With her team, she provides treatments like minimally invasive hysterectomies, Acessa™ procedures for fibroids, fertility-sparing surgeries, endometrial ablation, pelvic organ prolapse corrections, and incontinence relief. They also provide ovarian cyst removal with fertility preservation and mesh-free reconstruction surgeries. The doctors at Virtuosa GYN have extensive experience and training to help women feel comfortable and confident in their bodies. They provide technologically advanced options -- including regenerative tissue and stem cell products -- to reduce the use of mesh as well as small incision surgeries and non-narcotic pain relief. Through the care at Virtuosa GYN, you benefit from the most advanced, effective treatments in a spa-like setting, where this practice puts your needs first. Call Virtuosa GYN or schedule a visit today to experience tailored gynecologic care.